When Emmie moved in with her mother she stopped being a regular high school student. She also got into a lot of trouble. She was arrested and is assigned community service. She's not allowed to live with her mother any longer and is back with her father. Emmie thought living with him was difficult, but after everything she went through it's easy in comparison. 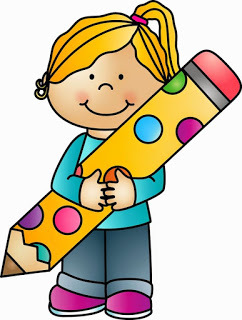 Emmie is going to her old school, where she's now a new student. She can't be a regular high school girl though and pretend nothing happened to her. The time with her mother scarred her and she's still picking up the pieces. When she meets Max, Emmie isn't ready to commit to anyone yet, even not when he offers her nothing more than friendship, but Max is persistent. Learning to trust after what happened with Nick, the man she knows so well and fears because she had to testify against him, is difficult, but maybe she'll be able to pull it off? Max is grieving and doesn't have his anger under control. He messed up and ends up doing community service. There's something about his punishment he doesn't mind, it's a chance to meet Emmie and get closer to her. They go to the same school, but they share more than that. They're both damaged by their pasts and maybe they can find some comfort with each other. Emmie grounds Max, but will she be able to open her heart and let him in? What will Max do when he finds out more about Nick and the problems Emmie has with him? Is it possible for Max and Emmie to have a future together or are they too messed up to even try? Cold Hard Truth is a beautiful moving story. Emmie made a few wrong choices and before she knew it she was in over her head, being under the thumb of a dangerous man. She didn't come out of the situation unscathed, she was arrested and now has to start over. She might be back at her old school, but she can't live her previous life anymore. She's changed and doesn't easily confide in people. She keeps everyone at a distance. My heart ached for her, she went through so much and feels responsible for everything. I kept hoping she'd be safe and find some happiness. Max is protective of her and they're great together, but he's also not ready to leave part of his awful heartbreak behind. I couldn't turn the pages quickly enough to find out if they'd give each other a reason to heal and look at the future. Anne Greenwood Brown skillfully combines romance with suspense. Emmie constantly has to look over her shoulder. She testified against a dangerous man and she knows there will be a price to pay. Anne Greenwood Brown carefully divides her tension and balances it with emotions. This works really well, her story is both gripping and poignant at the same time. Cold Hard Truth deals with several difficult topics and she writes about them in an open and honest way. 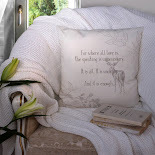 I loved that about the story and think Anne Greenwood Brown has written an amazing book. 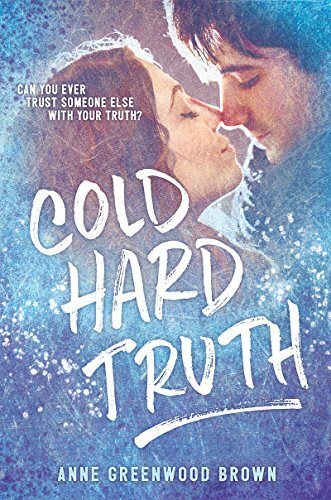 If you love gripping romantic YA you don't want to miss Cold Hard Truth. This is me the same year I wrote my first book. I was five. 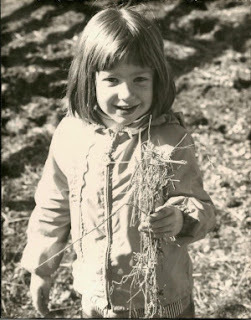 It was titled “Agatha the Witch.” (That wad of straw in my hand was my main character.) My dad published the story for me on his office copier, and I distributed the book to the kids on my street. Since then, I've written several YA novels, as well as fiction for older readers (under a pen name), creative non-fiction that I've performed live with "Listen To Your Mother" (the Twin Cities tour stop 2014), non-fiction on writing craft for Writer Unboxed, not to mention some really horrible poetry that lives in journals under my bed. 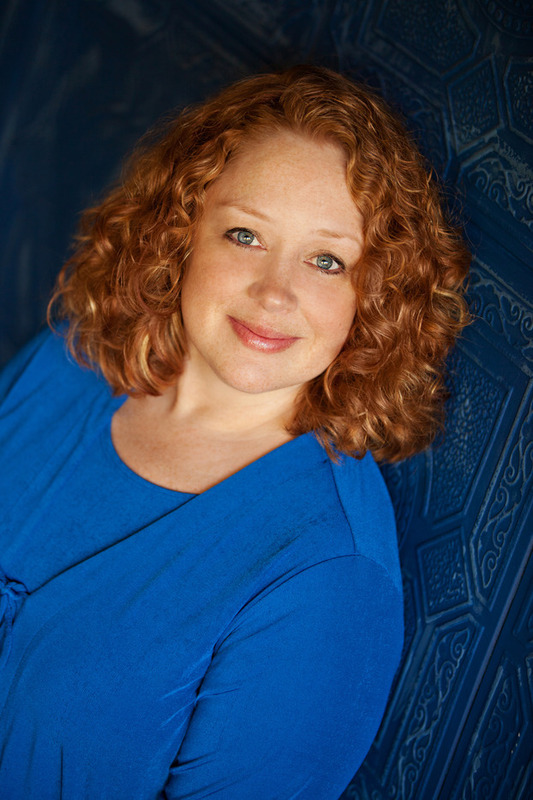 I am represented by Jacquie Flynn of Joëlle Delbourgo Associates, Inc. I live in Minnesota with my amazingly patient husband and our three above-average children. 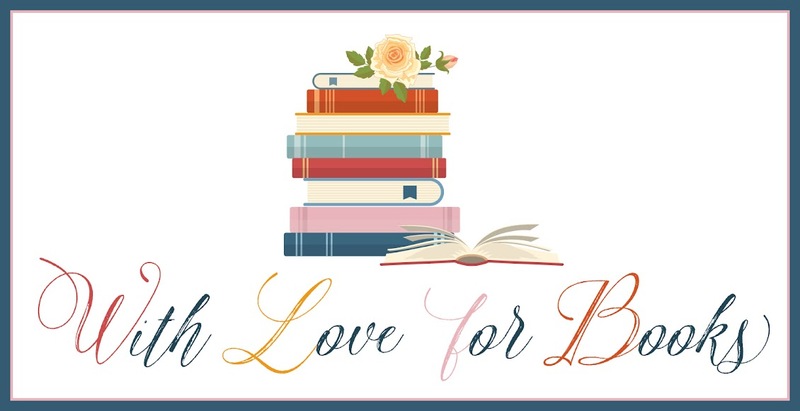 One very lucky reader of With Love for Books will receive a signed paperback copy of Cold Hard Truth and a signed bookmark from Anne Greenwood Brown. 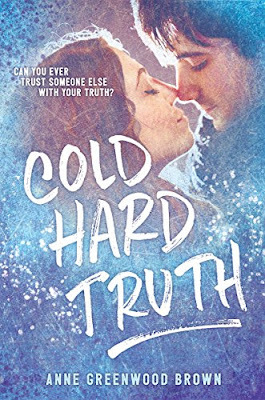 Cold Hard Truth sounds like an emotional story full of drama and action. It sounds very moving and heart felt. Thanks for sharing it. This sounds like a wonderful romantic book. Can't wait to read this. Sounds interesting, thanks for the review and giveaway! I haven't been introduced to your books yet. Thanks. I love that your dad was your first publisher. What an emotional roller-coaster, sounds like a great read. The truth is not always the eaziest choice to go with but most always the best. Sounds like a lot of happening, will be curious to discover this book and the author style. You are a new to me author but I'm very interested in this book. I'll be looking for it. Sounds amazing and the cover is so beautiful. 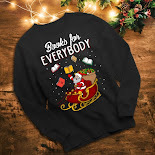 I love the cover, it looks like a great book. I think this book would really speak to my students, many of whom frequently go through difficult times. Good review.I would like to read. This sounds a great book of second chances and love.